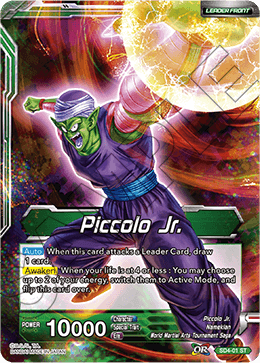 : Choose 1 of your opponent's Battle Cards with an energy cost of 5 or less and KO it, then this card gains +5000 power for the duration of the turn. 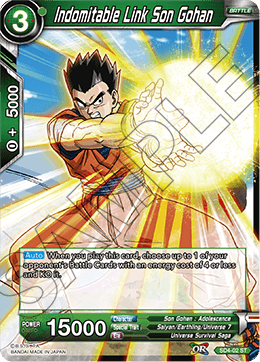 When you play this card, choose up to 1 ＜Son Gohan: Adolescence＞ with an energy cost of 3 or less from your deck and add it to your hand, then shuffle your deck. 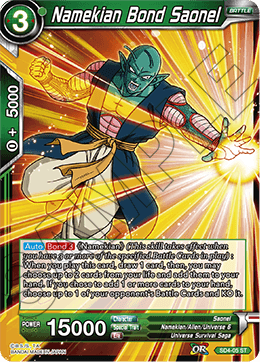 《Namekian》 (This skill takes effect when you have 3 or more of the specified Battle Cards in play) : Reduce the energy cost of this card in your hand by 2. 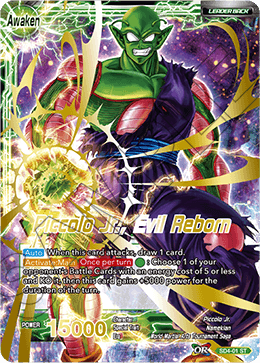 When you play this card, choose up to 1 of your opponent's Battle Cards with an energy cost of 5 or less and KO it. 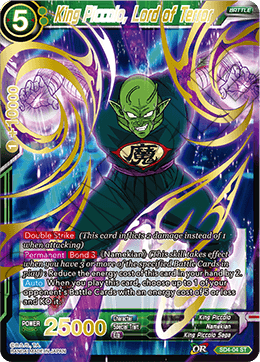 《Namekian》 (This skill takes effect when you have 3 or more of the specified Battle Cards in play) : When you play this card, draw 1 card, then, you may choose up to 2 cards from your life and add them to your hand. 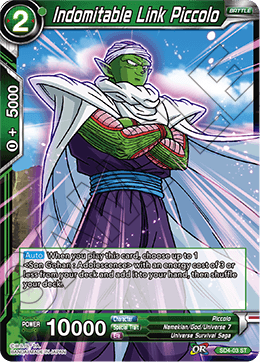 If you chose to add 1 or more cards to your hand, choose up to 1 of your opponent's Battle Cards and KO it.